Outer cores used for implementation of backdrafts at the model. This is a very specific and high-quality type of molding work and is predominantly used in art casting but partly also for mold production with large patterns. 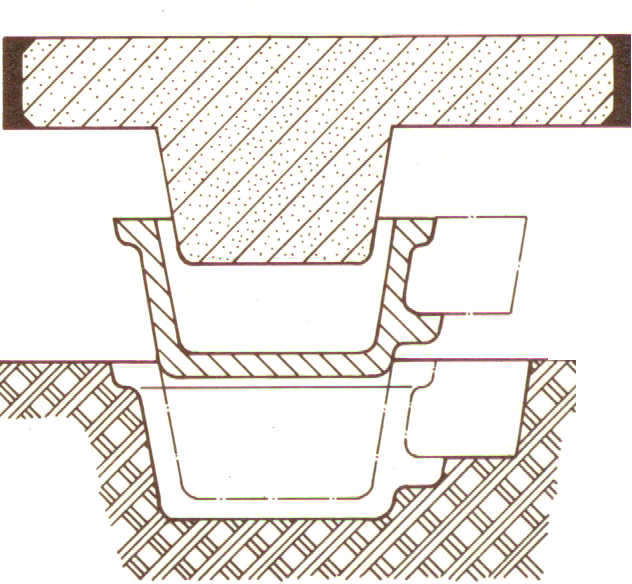 In the area of the back draft of the rammed up model, a cavity is cut out of the mold and in this negative section, the inset core is filled and rammed to obtain a proper mold profile. When stripping the model, the inset core is removed to the side together with the model and is subsequently re-inserted into the mold (Figure 1).